The Probing Company conducts Geoprobe ® Direct Push Services across the State of Tennessee including Nashville, Franklin, Lebanon, Jackson, Memphis, Chattanooga, Knoxville, Clarksville, Manchester, Bristol and areas in between. The Probing Company personnel hold Tennessee Professional Geologist Licensure and Tennessee Monitoring Well Drilling Licensure. 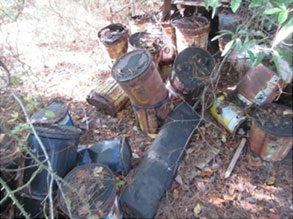 Our personnel are well trained in all aspects of environmental sample collection and can assist your field personnel in understanding the potential environmental concerns at your site. 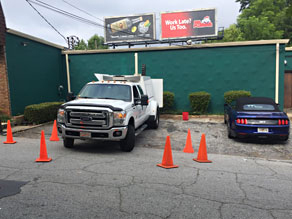 We have collectively completed more than 3,000 Geoprobe® direct push drilling services sites on almost all types of commercial properties including: salvage yards, dry cleaners, truck stops, convenience stores, automobile dealerships, body shops, apartment complexes, gas stations, shopping centers, industrial properties and most other types of properties. 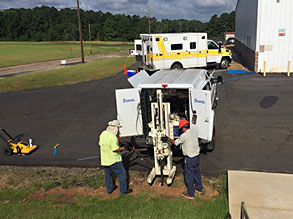 Each site is staffed with a multi-state licensed driller and Professional Geologist. Our experience in environmental sampling and its inherent risks is unmatched in the Geoprobe® Direct Push Drilling Services industry. Geoprobe® Services/Direct Push Sampling doesn’t generate soil cuttings like typical augering methods. It is common knowledge throughout the environmental industry that direct push drilling is the fastest and most economical way to collect samples from a site. 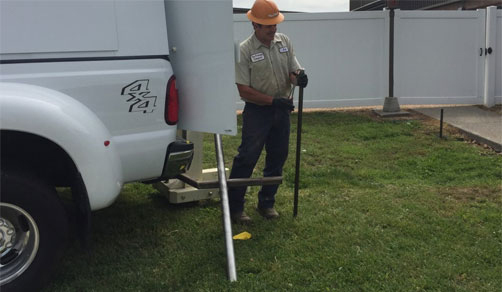 We also utilize the Geoprobe® Screen-Point 22 (SP-22) for groundwater sampling, and can install small-diameter PVC temporary or permanent monitoring wells upon request. All our Geoprobe® rigs are stocked with a variety of ways to collect groundwater samples from a site. We routinely collect sub-slab as well as shallow and deep soil gas or soil vapor samples from a site. 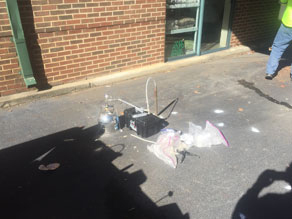 We utilize a vapor surface attachment for sub-slab soil gas samples, and utilize a variety of tools and methods to collect shallow and deep soil gas samples including the Geoprobe® PRT system as well as numerous types of temporary and permanent vapor implants. We can leak test most soil gas sample locations using various methods including helium, isopropanol, shut-in tests, etc. The Probing Company are Soil Gas Sampling specialists. Tennessee Geoprobe® Services = The Probing Company!